Every year, a group of volunteers meet up in a local park or nature area to do some planting, share lunch and get their hands dirty. 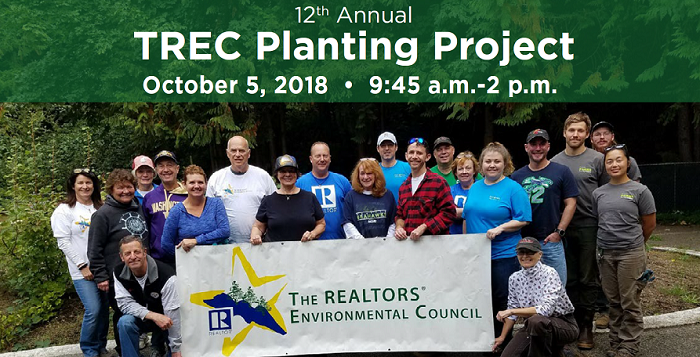 The annual The REALTORS® Environmental Council (TREC) planting project is a great way to show that you care about the beautiful, natural environment of our region that helps local REALTORS® sell homes. We’ll gather at Lakemont Park at 9:45 a.m. on Friday, October 5 to plant native trees and shrubs in the park. Bring your colleagues, family and friends!